It is true that life is not a bed of roses. We are tested in various ways. We sweat; we fall; we bleed. But ultimately it is all about rising up, rising to a greater height each time we have a fall because that is how the process of life's growth takes place. Sandeep's life sketch is a plinth to the above apophthegm. 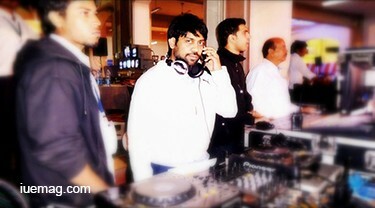 As a five year old kid, the only thing that excited him was tapping his feet to Prabhu Deva’s beats. 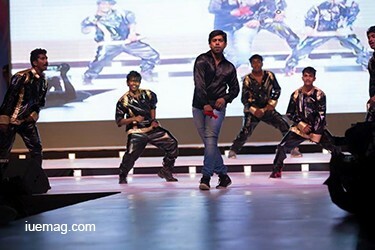 His love for dance kept flaming up in the form of performances at his school functions. This flame one fine day lit up a bonfire when he joined a dance school. Having observed his artistic talents, his parents wanted him to learn painting but his vigilance for art pulled him towards a dance school. It marked the prolusion to Sandeep’s chronicles. How this kid transformed himself into a growing dance choreographer? How did he happen to achieve the prestigious FEFSI card? How did he learn the art of setting sparks to the beautiful fireworks on the big screen? He unfolds his story that brings to us the arduous journey that it takes to reach the apex. 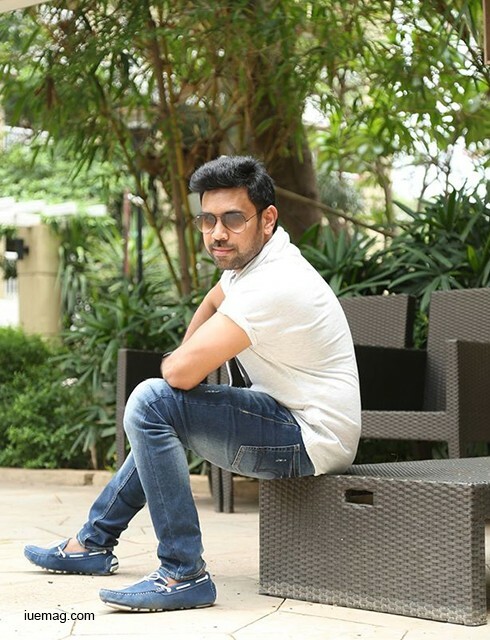 It all began with his enthralling entry to the small screen by winning the titles of around ten Telugu and Hindi reality shows namely Dance Baby Dance, Boogie Woogie, Aata, Challenge and many more under his belt. He calls it is an intricate safari where they are given a period of about one month to compose and prepare for the preliminary rounds. Then they get to shoot for a span of three continuous days-nine songs on the whole. This stretch is followed by the pre-finals and finals. Not to forget the ups and downs that comes with each passing moment. He says that he has learnt to fight through the bad days to earn the best days of his life. Sandeep emphasizes that without the downs, ups would mean nothing. It is inevitable that oaks grow strong under contrary winds and diamonds are made under pressure. Sandeep became an overnight hero when he bagged the Aata title. “People started agnizing me in India as well as abroad and I got plenty of offers. It becomes easier to interact with people from the industry when you already have an identity in the form of a vanquisher of the most happening show. If I entered the field without this tag, it would have been a play of attitudes where sometimes your talent cannot come to your rescue”, recalls this paladin. He never anticipated that this phase of life in Aata was the stage where he was building a staircase to the next level unknowingly. Following the stretch of triumph, he had to enter the ‘Chamber of hassles’, which was a completely different sail altogether. The process of acquiring the FEFSI card helped him grow as a dancer and enlightened him as to what happens in the cinematic field of dance. It involves an exigent path which teaches you a number of lessons at each level. It starts off with the role of a dancer for two years. Then it demands working as an assistant choreographer for a span of three years. End of this you will be judged by professionals and should compete with nearly six thousand talented dancers. 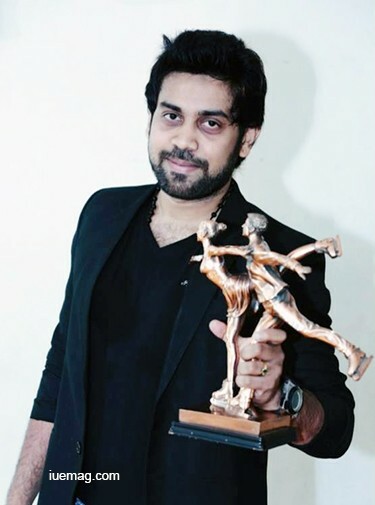 Top 20 dancers win the card and the privilege to work as a dance choreographer in film industries which include Telugu, Tamil, Kannada and Malayalam. Highlighting his gradual process of evolving and transition stages that he encountered as a dancer and an assistant choreographer, he says he learnt the importance of patience that is necessary to train the exalted actors. As an assistant choreographer, he was exposed to various technical aspects. What kind of camera has to be used? What kind of frame has to be used? Which camera angles and positions are suitable? He underlines that it was an explicating process that helped him learn about the shooting work and the process involved in portraying an actor beautifully. He has emerged like a successful mariner through this tremulous voyage of acquiring knowledge. For the lesson that we learn, remains as a friend in desert, our society in solitude, ornament among friends and armour against enemies; it guides us to happiness and sustains us in misery. This vibrant dancer says dance floor brings out a completely different person out of him and nothing can disturb him or take over his mind as long as he is on the floor setting fire. He dreams of working with the leading stars in Telugu film industry in the near future. It is time for us to discover the deeper message that Sandeep has voiced; Back yourself into a corner. Give yourself no choice but to succeed. Let the consequences of failure become so dire and so unthinkable that you will have no choice but to do whatever it takes to succeed. Any facts, figures or references stated here are made by the author & don't reflect the endorsement of iU at all times unless otherwise drafted by official staff at iU. This article was first published here on 12th July 2016.